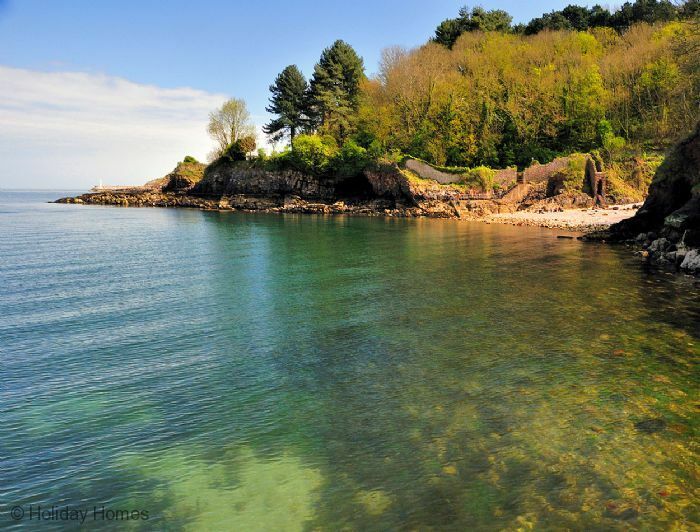 A modern, bright, 1st floor self-catering holiday apartment with stunning views over Brixham. 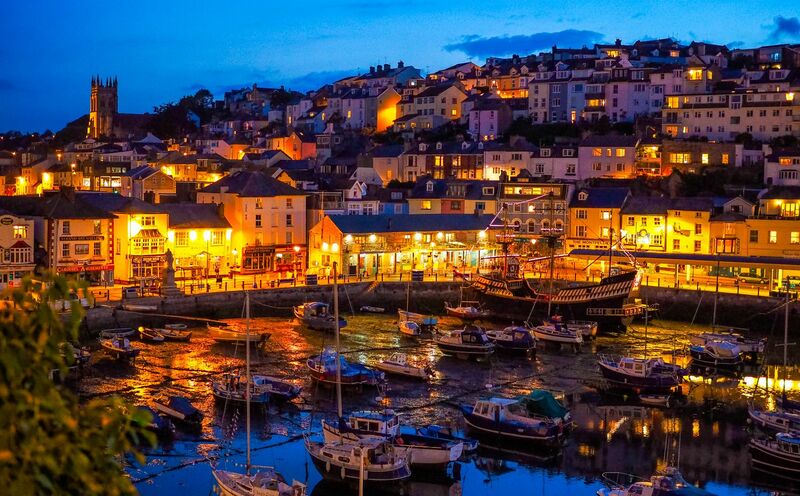 Located on the corner of Fore Street and Brixham's inner harbour, you could not be in a better location. This bright modern 1st floor apartment features stunning harbour views from the open plan lounge / kitchen / diner and both bedrooms. Fitted in a bright contemporary style with good quality furnishings and tasteful decoration, this apartment has windows to all aspects, filling it with light and air. 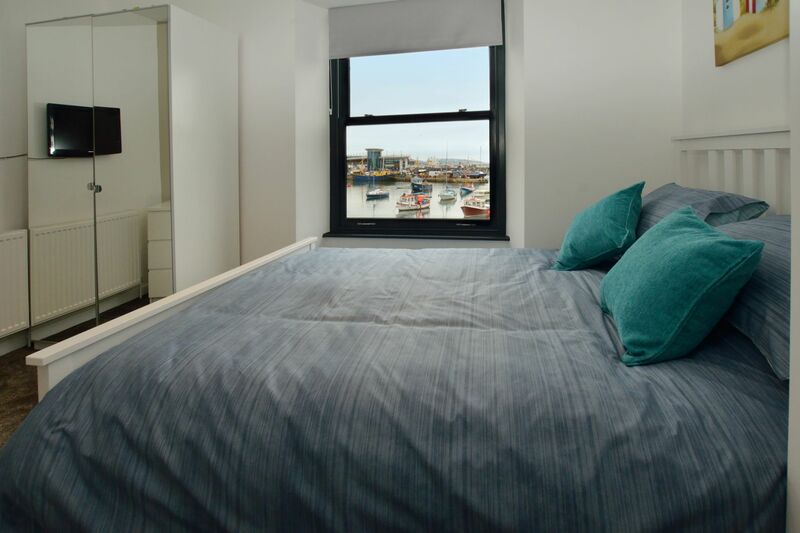 Enchanting sea views, wi-fi and a dedicated parking space on the harbour side are also included. The bright modern kitchen includes a built in dishwasher and a clothes washer/dryer, gas hob and electric fan oven. It comes fully stocked with all the pots, pans and utensils you could think need. The fully tiled family shower room features a corner shower cubicle, W/C and washbasin. This is the sister property to Flat 2, Kings Quay Apartments which is located above. Larger families or groups of friends could book both apartments and enjoy being in the same building with the convenience of 2 separate apartments. Very child friendly - a travel cot and high chair are included. Dedicated parking space on the harbourside. 3 steps up to front door then 14 steps via return staircase to 1st floor landing and entrance to both flats. This is a lovely apartment very clean and nicely decorated The view out of the lounge is exceptional and the owner has made every effort to ensure you have a comfortable stay. The location to the town centre is 'spot' on and the parking space idea. However our only criticism is, if you are unlucky as we were, to have inconsiderate people staying in the above apartment it can be quite noisy with door slamming and children running up and down the stairs. Amazing views from an excellent apartment. The apartment is comfy, very well cared for and spotless. 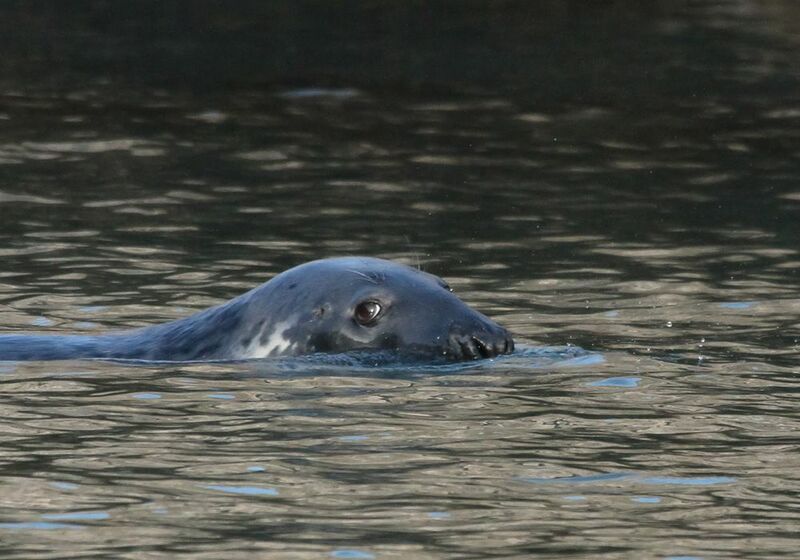 The views over the harbour are breath taking and there is always something going on. We find the stairs a little hard going at our age but it is well worth it for the views. We had a wonderful week and I don't think I have ever eaten so much fish. Many great restaurants in walking distance. We arrived in pouring rain but even that didn't spoil our first impression of 1 Kings Quay Apartment. It was just as advertised, right on the Harbour with amazing views and very clean and comfortable. The welcome pack was very helpful particularly the fresh milk. We had a week in Brixham and ate out most days, we were spoilt for choice with a good selection of restaurants right on our doorstep. We were extremely comfortable in the apartment and would definitely consider a return visit. Located above the 'i-scream' shop on the corner of Fore Street and Brixham harbour - you couldn't be in a more central location. The harbour, cafes, restaurants and shopping are right outside your door. Entrance from gate to the right of the i-Scream shop.